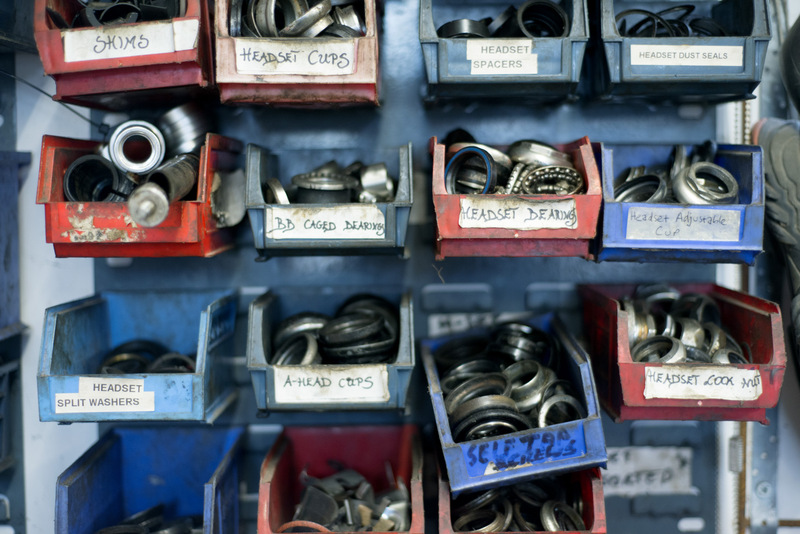 Cranks is a Do-it-Yourself bicycle workshop in Brighton. We have all the tools and volunteer mechanics to help you to fix your bike and a large collection of new and used parts to get you back on the road. Cranks is volunteer run and not for profit. The aim is to encourage everyone whatever your age, gender or knowledge to learn to love your bike. We want to help people keep their bikes on the road (and on the trails!) and enjoy cycling. We want to help you learn how to fix and look after your bike. We also recycle old unwanted bikes so if you know of a bike that is not being used and in need of a new home please donate it to us. And of course if you want to buy a refurbished bike come along and check out our recycled bikes that are for sale. They usually range in price from £40* to £300 and come in all shapes and sizes. 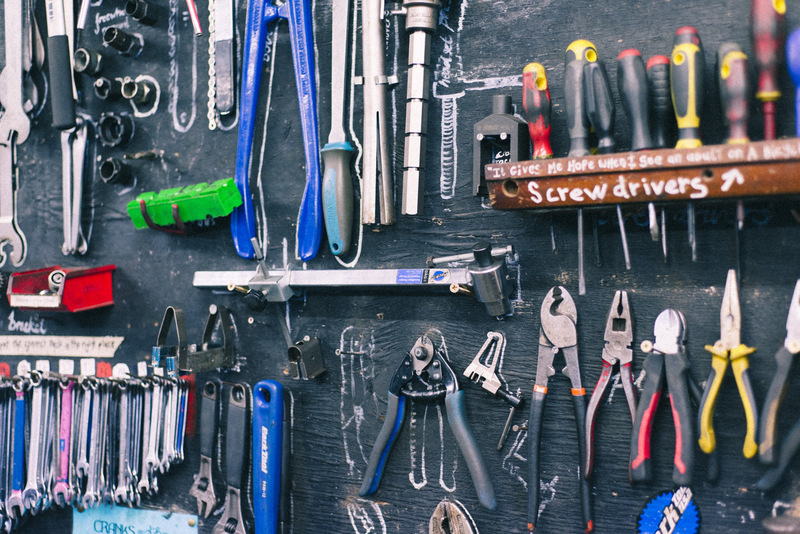 We have all the tools you need to fix your bike and a large collection of new and used parts to help get you back on the road. From pumping up your tyres and fixing a puncture to a complete overhaul of your bearings we can help you. Please bring your bike along and we'll help you fix it whatever level of experience you have. We're very friendly and you'll be surprised how easy most things are to fix with the right tools and parts. Payment for use of the workshop and used parts is by donation, new parts are very reasonably priced. We can bring our Bike Hospital to your event. We currently have a large stock of recycled bikes for sale. All the complete bikes we sell have been lovingly refurbished and put through a thorough safety check. Completed bikes are reasonably priced, starting from £40 up to around £300 and all monies go towards the costs of running the space. Our stock changes weekly, so pop in and have a look. If you want to customise one of our for-sale bikes (changing saddles, adding/removing mudguards, racks etc.) we are happy to help you with that too. We also offer a small selection of accessories (lights, bells, oil, locks etc.) to keep your bike swanky and safe. We don't service bikes - there are loads of great bike shops in Brighton, if you can't or don't want to Do-It-Yourself give one of them a call. We don't buy bikes - we are lucky enough to have lots of bikes donated to us but we don not buy bikes, sorry. We don't do part exchange or swaps - sorry this is not a service we provide. We don't hire bikes - there's an excellent bike hire scheme in Brighton, check them out! Cranks is volunteer run and not for profit. We want to help people keep their bikes on the road and enjoy cycling. We want to recycle old bikes that would otherwise be rusting away and we want to help people learn how to fix and look after their own bikes. If you share our ideals and want to get involved, please come into the workshop for a chat. We recycle old unwanted bikes, so if you know of a bike that is not being used and in need of a new home please donate it to us. We try to rebuild all bikes which have usable frames. Any others will be stripped down for use as spares. If you have bikes, tools or parts you would like to donate, please bring them into the workshop. 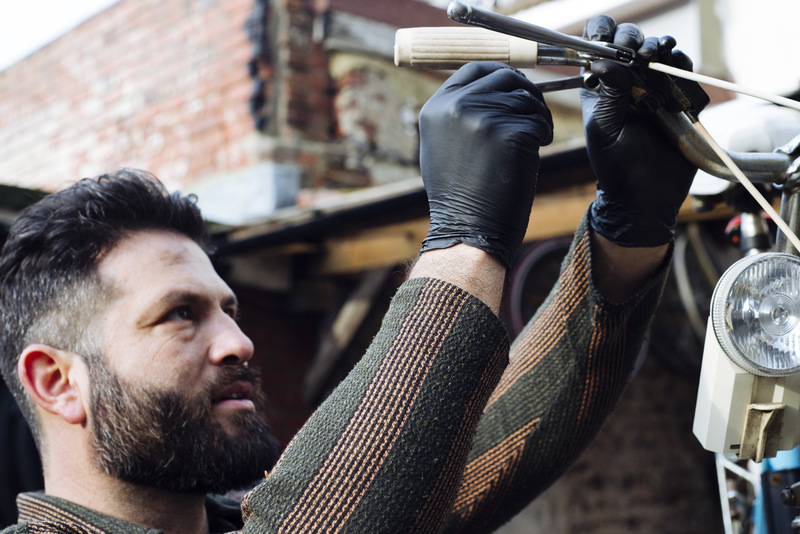 Here are some other projects around the UK who offer an open workshop where you can maintain your own bike. Hastings BikeLab - Open access bicycle workshop on Hastings seafront. 56a Bike Workshop, London SE17 - A very DIY, non-profit bike workshop (sounds familiar!) - Based at the famous 56a radical social centre. Kebele Bike Workshop, Bristol - Located at the Kebele social centre in Easton, open every Wednesday. The Bike Station - Rent a workstand, and get access to tools, grease, tea and knowledge. Now in Edinburgh, Glasgow and Perth! Tower Hamlets Wheelers - Hands-on workshop, last Saturday of every month. Bikeworks, Tower Hamlets - Offer repairs, maintenance courses and recycled bikes to buy. Recyke y'bike - Based in Newcastle, unwanted bikes are recycled, repaired and redistributed by a team of volunteers. Some other bike related organisations in Brighton. Whitehawk Bike Workshop - A bit like Cranks, but in Whitehawk. Open every Thursday 3.30 - 7pm. Bike Brighton - Bike maintenance training for groups and individuals. Bike Hub - Brighton BikeHub is another DIY Bike Workshop that also sells used bikes. Rayments - Brighton’s longest established cycle shop. Baker Street Bikes - Another great local bike shop. South Coast Bikes - Will pick up your bike and fix it for you, if you really don't wanna DIY. Bike For Life South - Local group promoting cycling for all. Freedom Bikes - the nearest "proper" bike shop to Cranks. The best way to contact us is to come in during our opening hours. As a volunteer project we cannot always find people to run shifts, please phone the workshop during our opening hours to check if we are open.